11th Annual Open House – Celebrate With Us! Belladerm MedSpa, recently voted as Best Medspa 2016, third year in a row has grown significantly in the last 11 years promoting skin care and overall skin health. Robin Bernens, Managing Director and Nurse Injector of Belladerm Medspa, opened the MedSpa in November of 2005. Beginning her career as a registered nurse, she used her passion for aesthetic medicine to begin studying anti-aging techniques. As soon as her husband suggested opening a medical spa, they began planning for Belladerm. Robin built her business focusing on her clients’ needs rather than her own profits. According to Robin, building her business was quite challenging in the beginning but when she began to see the success in her clientele, it became a beautiful and rewarding process and passion. Belladerm continues to succeed because of the intention behind their products and treatments. Belladerm employees are conservative with their treatments and only choose treatments they know will provide the very best results. In celebration of Belladerm Medspa’s 11 year anniversary, they will be hosting their annual open house event Tuesday, October 4th from 4-8 pm. The focus of the evening event is to promote the education of skincare products and skin treatments to keep skin looking radiant and younger longer. Belladerm skincare professionals will be on site to answer questions regarding the products and treatments that best suit each individual’s needs. The first 50 guest receive fabulous free gift bag. So make the date, October 4th and join us for an evening beauty, great food and fun! We would like to thank our sponsors Mark Micheal Diamonds, Good Things, Alibi Salon, Biaggi’s and Dayton Wine and Spirits for being a part of our event! For more information on the event please call Belladerm at 763-494-9905. Belladerm MedSpa, recently voted as Best Medspa 2015, has grown significant amounts in the last 10 years promoting skin care and overall skin health.. Robin Bernens, Managing Director and Nurse Injector of Belladerm Medspa, opened the MedSpa in November of 2005. 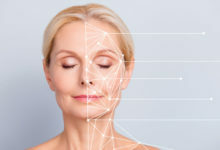 Beginning her career as a registered nurse, she used her passion for aesthetic medicine to begin studying anti-aging techniques. As soon as her husband suggested opening a medical spa, they began planning for Belladerm. Robin built her business focusing on her clients’ needs rather than her own profits. According to Robin, building her business was quite challenging in the beginning but when she began to see the success in her clientele, it became a beautiful and rewarding process and passion. Belladerm continues to succeed because of the intention behind their products and treatments. Belladerm employees are conservative with their treatments and only choose treatments they know will provide the very best results. Belladerm began and continues to differ from most other medspas. Robin runs her business through honesty and integrity and will never promote a treatment or product on a client that she has not personally benefited from herself. To this day, the biggest reward of running her business is her relationships with her clients. “At Belladerm we have some of the most phenomenal clientele. I feel very lucky to have them and they have become our family. 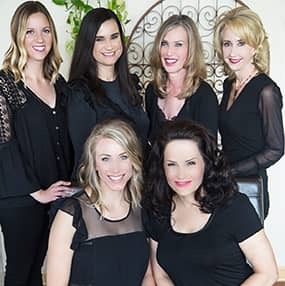 We know each of their personalities as they do ours.” In celebration of Belladerm Medspa’s 10 year anniversary, they will be hosting their annual and much anticipated open house event Tuesday, October 6th from 4-8 pm. The focus of the evening event is to promote the education of skincare products and skin treatments to keep skin looking radiant and younger longer. Belladerm skincare professionals will be on site to answer questions regarding the products and treatments that best suit each individual’s needs. Local business partners will also be on site to share fall beauty tips and products. The first 50 guest receive free gift bag and one lucky attendee will win A Year of Beauty ($5,250 value). For more information on the event please call Belladerm at 763-494-9905. If you’re not able to attend, you can fill out the preorder form anytime between now and October 6.